Welcome to the website of The Sorabji Archive, a resource dedicated to the life and works of Kaikhosru Shapurji Sorabji. Here you will find details including how to obtain Sorabji’s music scores, literary writings, recordings, news from The Sorabji Archive about upcoming performances and new editions, and a host of other information about this remarkable 20th century figure. The legacy of Kaikhosru Shapurji Sorabji (1892–1988) is vast. Composer, pianist and critic, Sorabji was born in 1892 in England, his father a Parsi engineer from Bombay and his mother apparently a soprano, was once thought to be Spanish-Sicilian but it has been discovered that she was English. 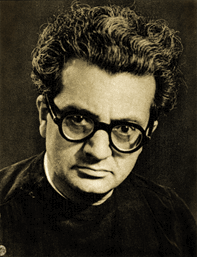 Sorabji was an enormously prolific composer, who completed over 100 works between 1915 and 1984, many for piano solo, some of enormous dimensions. Some were published between 1919 and 1931, but much of his music remains for the time being in manuscript only. His published literary œuvre embraces a wide variety of articles, reviews and “letters-to-the-editor” in English journals and two volumes of collected essays, Around Music (1932) and Mi Contra Fa: The Immoralisings of a Machiavellian Musician (1947). Established in 1988, The Sorabji Archive houses a collection of literature by and about Sorabji including manuscripts, essays, performances, recordings, personal correspondence, and much more. In many cases, the Archive is the sole distributor for this material. We issue copies of these remarkable scores and writings to the public worldwide and welcome visits by appointment from performers and scholars.